With over 75% of the population reporting at least one or multiple major traumas in their lifetime, it is imperative that we understand why some people are more vulnerable and go on to develop mental illnesses like anxiety and depression, and why some are more adaptive and resilient. In the field of mental health, most neuroscience research to date has focused on understanding what determines risk for mental illness and ways to treat it. In contrast, there are only a handful of studies which have started to look at the neuroscience of resilience and how to promote it. 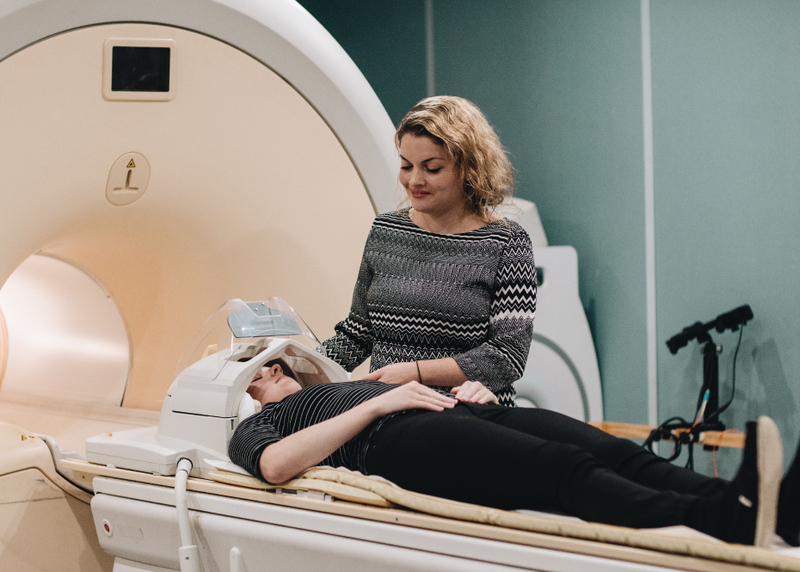 Dr Justine Gatt and her research team at NeuRA have proposed a paradigm shift in the ways we normally examine and understand mental illness, and to instead focus on mental health. For the first time, the team will aim to identify the brain profiles which predict pathways towards resilience versus risk for mental illness over time. The team are currently doing this in a large sample of 1,600 adult twins ranging in age from 18 to 60 years. To start with, we have developed the first composite scale of wellbeing called the COMPAS-W which provides a combined measure of both subjective and psychological wellbeing. The researchers are keen to test this measure in predicting patterns of resilience over time. To assist with this, Dr Gatt was recently successful in obtaining NHMRC funding to retest the twin sample 8 years after their initial characterisation. This study will be conducted from 2018 until 2022 and will be the first study of its kind to show the neuroscience of longitudinal patterns of resilience (or risk) across adulthood. Beyond the current study in adult twins, the team is planning to take these studies to adolescents and children. They have already conducted a pilot study with 200 adolescents across 6 countries looking at the promotion of optimal mental health and resilience as a global health priority. Australia, New Zealand, Canada, China, South Africa and the UK; and have found some interesting patterns showing differences in levels of wellbeing across different cultures, and how different types of trauma exposure may modulate this process. Childhood is a crucial period of personal and physical development, and a child’s brain is particularly vulnerable to the impact of different life experiences – both good and bad. It is therefore critical that we understand how trauma may impact the brain differently during different stages of development, and how optimal resilience can be promoted at different ages.